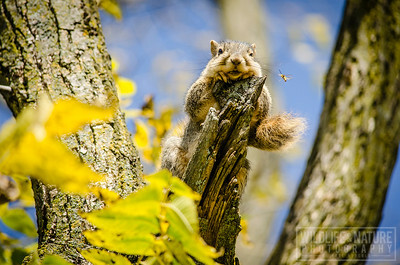 On a fall afternoon on the campus of Eastern Michigan University, a fox squirrel rests on a tree branch while being buzzed by a yellow jacket. 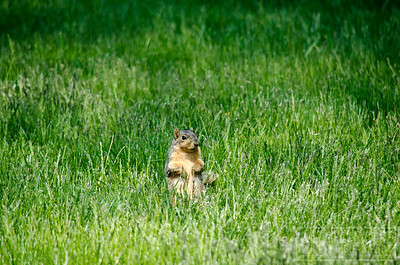 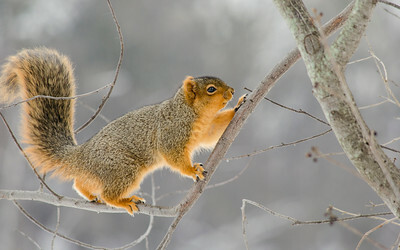 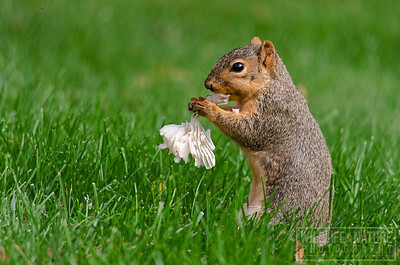 A Fox Squirrel tears through some litter as it looks for food on the campus of Eastern Michigan University. 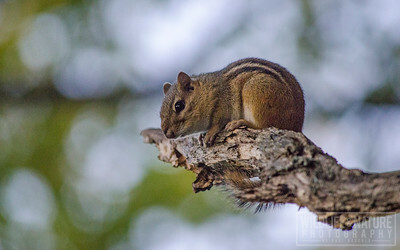 A Chipmunk rests on a tree branch at Gallup Park in Ann Arbor, Michigan. 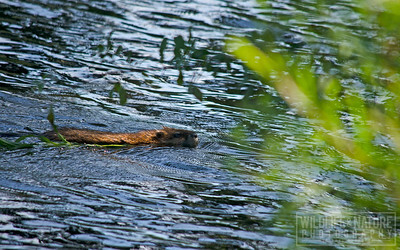 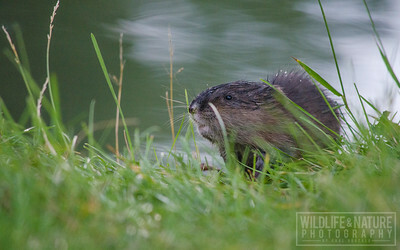 A Muskrat surfaces for a grass meal along the pond shore at Heritage Park in Canton, Michigan. 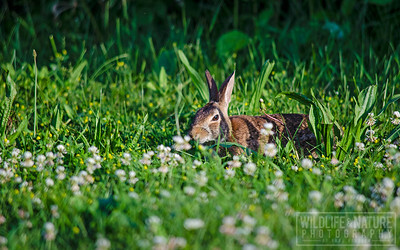 A young Cottontail Rabbit looks for some grass to eat at dusk. 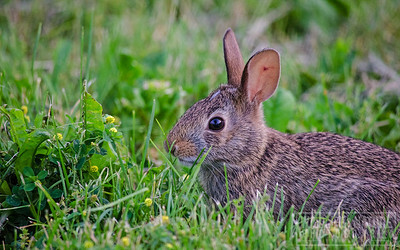 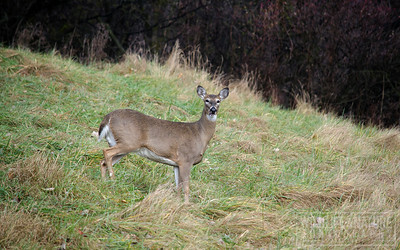 A Cottontail Rabbit eating grass as the sunsets at Gallup Park in Ann Arbor, Michigan. 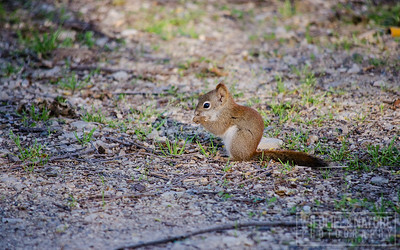 A juvenile Red Squirrel sniffs out food in the parking lot at Parker Mill Park in Ann Arbor, Michigan. 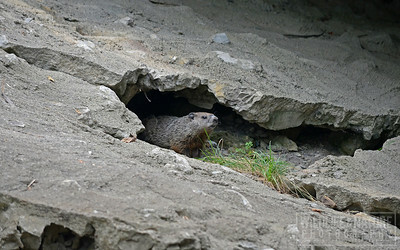 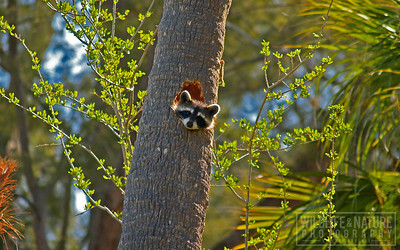 A Woodchuck peaks out from its den underneath a bridge in Superior Township, Michigan. 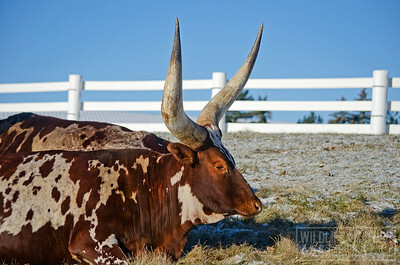 An Ankole-Watusi rests on the frozen ground at Domino's Farms in Ann Arbor, Michigan. 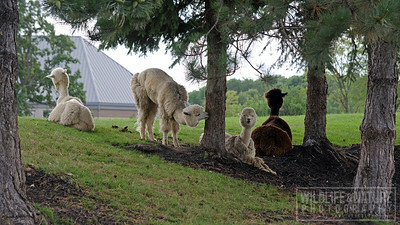 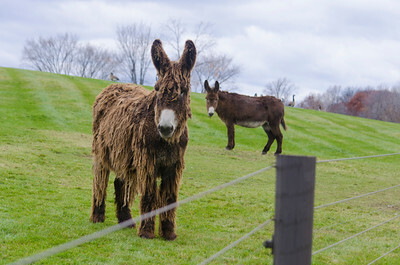 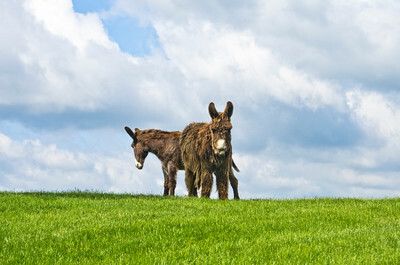 The Poitou Donkeys on the grounds of Domino's Farms in Ann Arbor, Michigan are inseparable.